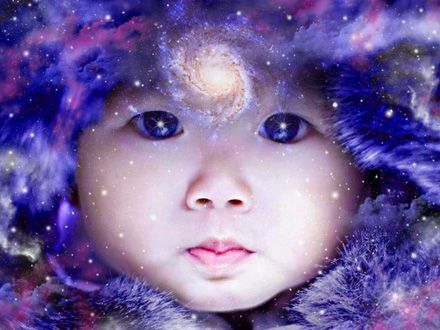 Are you raising an Indigo Child? Noted therapist and Elder of Divinity Is Eternal will be teaching Blueprint: Indigo Child on March 10, 2019. The Shaman known as Alicia. . . How does it feel to be born into a family where everyone has a gift? So it is in the case of Shaman Alicia. Born in Northeastern Ohio, her gifts were noted as a child. Her parents encouraged metaphysical thought. In the interim she studied and honed her gifts and talents. She is the third generation in her family to work in this genre. Shaman Alicia is a blend of the new age, the old and intellect. In the beginning, her primary studies focused in the areas of Communications. Later the spectrum broadened to encompass the legal world and led to her metaphysical calling. It took several years of study and sitting to be communicated to the order of Shaman, her studies encompassed astrology, numerology, and the new frontier known as energy medicine. She still remains a student and as of recent a teacher. As a descendant of one of the five Nations she often marvels at the diversity of each indigenous tribe. She assisted in the founding of the Alexandria Shamanic Group, The Divine Feminine and as of recent; "The Readers Circle." Her work with the Institute of Spiritual Development proved to be the perfect springboard for that of a Spiritual Counsel. She holds many certifications in the healing arts. Has defined her own modality and often journeys into the psychic mediumship realms. She has conducted more than four thousand readings. Teacher and instructor have been the latest titles that she has embraced. Her new passion: Psychic development. This genre was a natural progression for one who began as an on air television editorialist and radio personality. Her passion for-metaphysical thought also led to two solid years of programming for the "Blog Talk" radio market. The title "The Divine Feminine presents", in this arena the group explored vast topic matter from the mystical world of Sufism to a salon series about "Past life Regression." (Have you lived before?) This was all accomplished while she was employed as a manager for one of the world's most respected newspapers and media sources. Literally, you could say her work has been guided by the "Angels." She delights in assisting others in communicating with their Angelics. . She is an avid believer that Angelic communication and healing work is a multi-level process which is the ultimate in the soul's perfection. Shaman Alicia conducts Auric Readings, Akashi Readings. Soul Mate Readings, and of course Angelic readings. Her work as a Clairaudient has been nothing short of fascinating. She taught and has conducted "toning," series such as "Sound for the Soul." As a sound intuitive, she works tirelessly in balancing others with many Sound techniques. What to expect when you sit with Shaman Alicia? As an Angel practitioner the truth is; you never know who will show up. Whether it's to deliver a message from a transitioned loved one, visiting the Akashi records or plotting a path for the dissipation of Karmic disharmony; it's all food for the soul.